Queen played thirteen shows in Japan in 1979 and with the surfacing last year of this tape for the April 28th show in Nagoya, there are documents now for each of them. Wardour are the first to press this missing puzzle piece on Mr. Fahrenheit. The tape is merely fair but listenable. It has a flat quality to it, lacking any significant dynamics, but exists as a good record of the event. It is complete except for small cuts at 7:52 in “Now I’m Here,” 10:00 in “Brighton Rock,” 1:41 in “Keep Yourself Alive,” and the last half of “God Save The Queen” is cut out. Freddie Mercury’s voice suffered from the long tour and was weak in these dates. The nadir came on the April 25th show in Tokyo. After taking two days off, he returns in this show with more strength, but he still conserves his voice by not hitting the high notes and voiding the vocal gymnastics. The beginning of the Jazz shows is a bit strange with the slow arrangement of “We Will Rock You” segueing into the fast arrangement followed in turn by “Let Me Entertain You” from the new album. It is almost as if there are three openers. 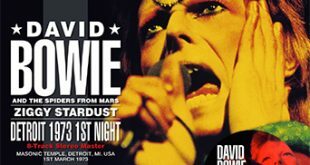 “If You Can’t Beat Them,” which alternated with “Fat Bottom Girls” in the set list, makes a return on this night. 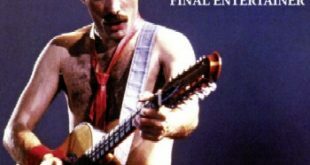 Freddie narrates the lyrics to “Death On Two Legs,” the opening song in the medley. One of the virtues of tapes from this tour is to hear the brilliant “Bicycle Race” in the live setting. It was only played in the Jazz and Killers tours and only in medley. It is amazing how Mercury could fit all of the highlights of the complex song into a ninety second clip. The middle section of “Get Down, Make Love” has bird chirps thrown in for good measure over the orgasmic moans. 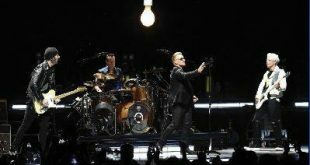 “Teo Torriatte” is played at all of the Japan shows and is played a bit earlier in the set than on other nights. The audience sing along in their native tongue to offer a touching moment. “Dreamers Ball” starts off the three song acoustic set. “I used to be a baby / I used to be a proud and joy…I sure was” Freddie adlibs. “Brighton Rock” is thirteen minutes and includes spooky shouts at the beginning. The tape has a hard time picking up the echo bouncing around the arena, but Taylor’s tympani solo is very well recorded and sound massive. “Bohemian Rhapsody” is the final song of the night and “Sheer Heart Attack” sounds like a testosterone driven attempt to assert their dominance. 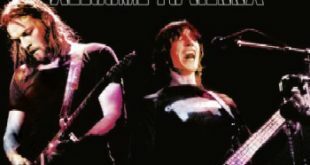 The sight of Freddie on the shoulders of Superman at the beginning of “We Will Rock You” (making its third appearance in the set) sends the audience into a shout, and they sing along to “We Are The Champions.” The latter songs on the tape, especially the encores, sound a bit more distant the rest. Perhaps the taper moved? 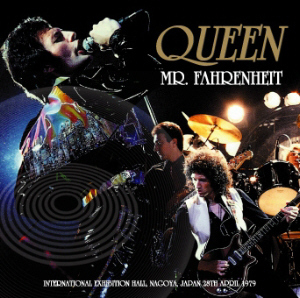 Mr. Fahrenheit is packaged in a double slimline jewel case with several photos from the tour on the artwork. It joins Dreamers Ball, Pride & Joy and Ultimate Dreamer (all on Wardour) as great silver pressed titles from Queen’s longest tour of Japan.